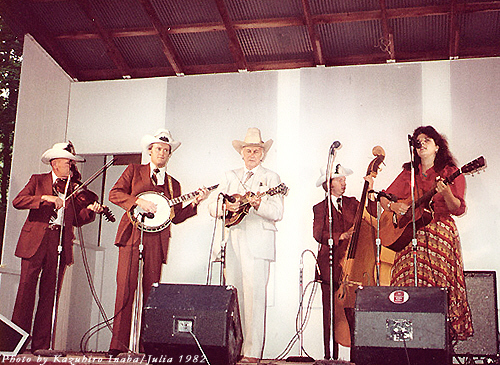 Bill Monroe, Frank Wakefield, Lester Flatt, Ralph Stanley, Kenny Baker, Jimmy Martin, Larry Sparks, Sullivan Family, Tex Logan, Bob Black, Richard Greene, Jack Hicks, Joe Stuart, Joe Mullins, Wilma Lee & Stoney Cooper, Marty Stuart, Wayne Lewis, Butch Robins, David Grisman, David Nelson, Jerry Garcia, Lamar Grier, Roland White, Julia Labella and much much more. 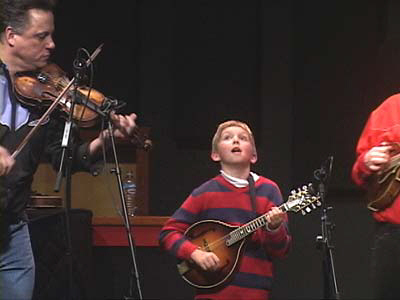 Please forward this to anyone you think would be interested in Bluegrass Music. This is an "OPT-IN" newsletter that gets sent FREE by email to anyone requesting it. Among all the wonderful things Bill taught/passed on to me in this life, besides music, that is dear to my heart, was learning to drive a team! 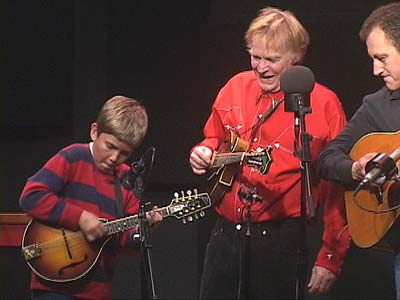 The little pony mules are "Roady" & "Mary" (found by Ralph Stanley). I painted that wagon Bill gave to me. It may still be out at the farm. Tater Tate's stepson, Frank Harold (our horse trainer/cattleman farm foreman) and I used to load them up with several other horses then haul them up to Bean Blossom (1980-1982), in a caravan of trucks from the Goodlettsville TN farm, with Bill! I would give wagon rides up there and we also patrolled fence rows on horse back instead of on foot. 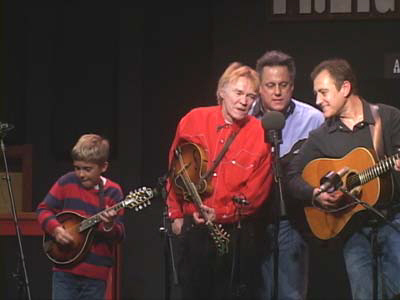 It was Bill's idea for me to drive the team with the Bluegrass Boys in-tow from the Old Barn at the front entrance of Bean Blossom, to the stage area and back! I'll admit I was reluctant at first. 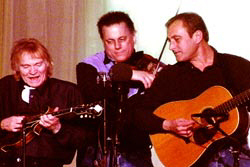 I could just envision Kenny's cocked hat and little brown fiddle flying backwards if the mules acted-up! Bill insisted, "You can handle 'em". Wayne Lewis was also in the back of the wagon. Of course, we opted not to have Mark Hembree carry his bass! It was one of my proudest moments knowing that Bill had every confidence, faith and trust in me doing this. 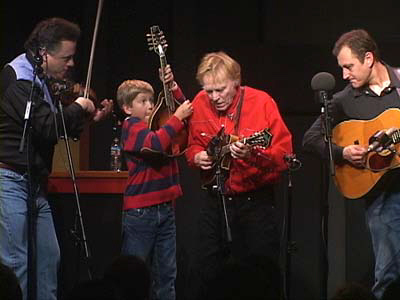 The BlueGrass Boys went along with it! What an honor, to haul these great men around in a wagon! Fun too! This same little team was hauled by me and our other horse trainer (ex Hollywood stunt man/horse trainer and WENO Radio-Nashville "trick-rider") Cowboy Lane, to Ted Walker's infamous "Full Moon Bluegrass Parties" that were held in the hills south of Nashville, at midnight. I remember having to hitch up the team myself in the moonlight because Cowboy Lane had become sick. He died not long-after. I gave moonlit-wagon rides and the little team never faltered. This same team was used in Columbia TN Mule Day Parade when Bill was Grand Marshall, in 1980 I believe. Frank drove the covered-wagon from Franklin TN to Columbia. WSM-TV shot footage of Bill in Franklin Sq. 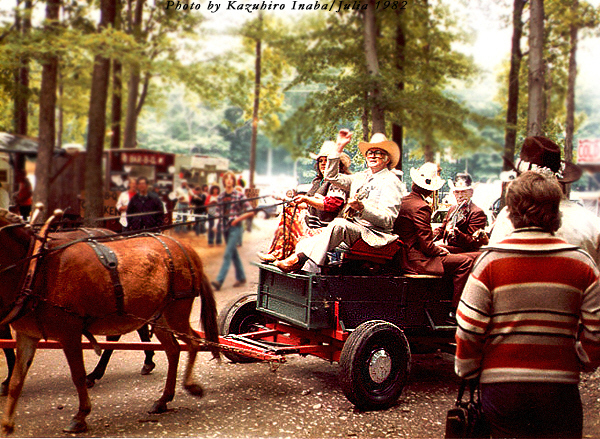 and he rode in Columbia's lead wagon with Frank and I following behind with "Roady" & "Mary". Above Photos Courtesy of Kazuhiro Inaba. 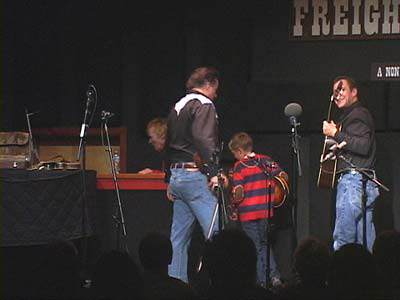 Jim: Frank... Tell me about your earliest musical instrument.. Frank: I had a guitar that I played with a case knife. Jim: What's a case knife? Frank: A butter knife, a lot of people call it a case knife... a regular butter knife that ain't sharp. You've seen those right? know what those are? Jim: Yeah, I have them here. Frank: Ya do...? What do they call them out there? Jim: Butter knives... Frank: Oh.. Ok.. fact that is probably what it was. Jim: So you use to play with that? You didn't pick up a piece of pipe or a bottle? Frank: Nooo. We never had no bottles around... moonshiners..
Jim: Is that right? Was there a lot of moonshiners there back then? Frank: Yeah, they had to have bottles of glass, they would use quart bottles, gallon bottles, milk bottles... anything that was glass. There wernt no plastic in those days... everything was glass. Jim: So what would they do just come by asking for them? Frank: Yeah, they'd give you a nickel for a glass bottle, that was a lot of money back then. Jim: They couldn't buy the glass I guess cause... Frank: No... they would get caught that way... have em.. put em in jail. My first cousin he drank it, he drank a pint of that moonshine. He died right after he drank it. He paid for someone to drink some first.. in case something went wrong. Jim: It's an interesting part of Americana isn't it? These are an amazing and understandable insight into the world of Jimmy Martin. 1) JIMMY MARTIN "TELLS IT LIKE IT IS!" Jim Moss: The 1954 version of that band was tight. Jimmy Martin: There ain't a band as tight right now.. 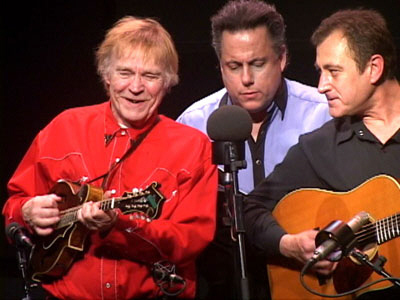 There ain't a band like me and the Osborne Brothers were tight.. like me and JD Crowe and Paul Williams was tight. Bill Emerson, that group was tight. other words... but I kept it tight...and we lived in the same town together.. we traveled together. Now we don't travel together, there's no family, no nuthing... just separated. 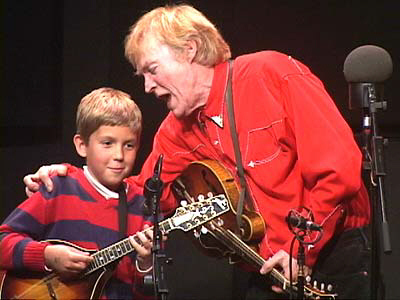 3) JIMMY MARTIN "THE OPRY"
We are really looking forward to our May 2006 trip to Emory Gap, TN. 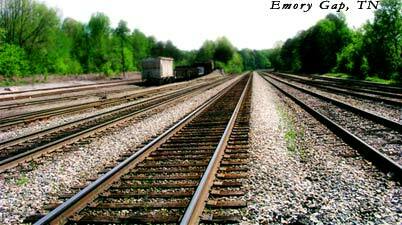 Emory Gap is where Frank was born and raised until he was about 16. Could this be happening again with gas? 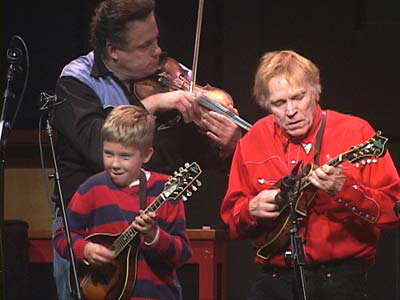 many local mandolin players at this show. 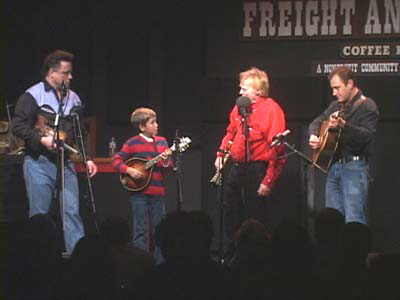 The Freight & Salvage Berkeley CA 2006. Year 2004 Sweden & UK photos. for display at his the web site. We call it Frank Wakefield's Private Photo Collection. I need to add more photos as soon as I have a few moments of free time. with a 56K dial up modem. 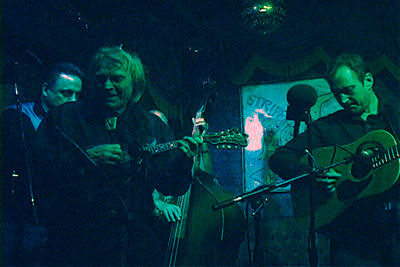 David Nelson, Don Reno, Chubby Wise and Pat Campbell on bass. We have them. follow the band to record the shows. 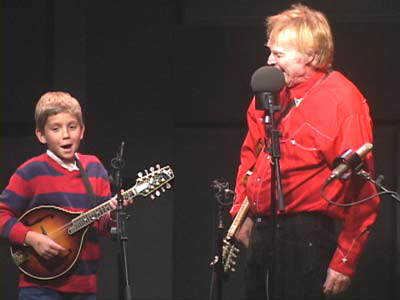 about his time with Bill Monroe, Part 1. So, you think that you have been to jam sessions? to your house... hear it now on mp3. 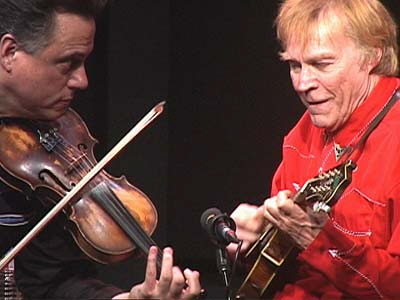 "Richard Greene, Bluegrass Fiddle with Bill Monroe: Parts 1-8"
"Wayne Lewis, Being one of Bill Monroe's Bluegrass Boys Part 3"